It's quite well-established that the reason for the sinking was a fire caused by hydrogen peroxide which then detonated two torpedo warheads. I think using fictional name for OSCAR class submarine would be little bit weird, because everyone would knows what real name is behind fictional one. We will see how people will vote with wallets and torrents. I hope it will be good game and i'm sure that most players who today names this game as "tasteless" will buy/pirate this title very quickly. This is probably the case. I would hope the had lengthy discussions on this one, and came to the conclusion that no matter how they tried to rename it, people would know what boat it really was. I really dislike the whole notion of announcing DLC for a game that isn't even out. Oh ye of low conspiratorial meanderings. You are quite correct that it was not sunk by the Russian Navy because her commander and crew were defecting with all its technologies to the capitalist dogs of Cheeto hair brained ideas. The Kursk was sunk by the same thing that always sinks ships in the water. I find the screen shots a bit annoying. There was no visual fog or haze inside the Kursk. Maybe the HVAC works really well. 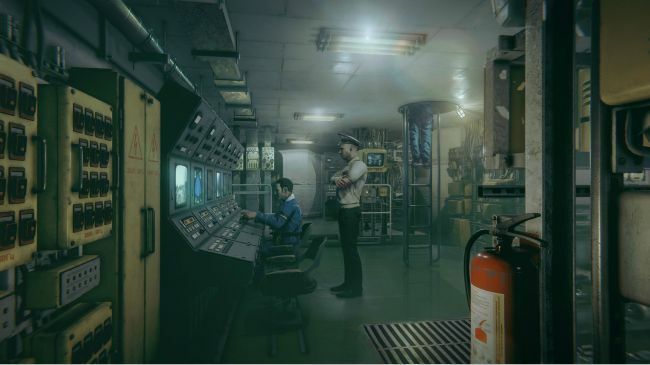 Earlier today, developers Jujubee released a brand new trailer for the upcoming documentary-adventure game Kursk. The game, which tells the story of the Russian atomic submarine K-141 Kursk and its sinking, has no release date yet, but is currently in development for PlayStation 4, Xbox One, and PC. The trailer (below) doesn’t reveal too much about the game, but does give us an ominous monologue from one of the crew members aboard the submarine about the tranquility of it all.